Last Friday I joined a few hundred underwater fanatics at the Royal Geographical Society for the London Diving Chambers’ annual dive lecture in support of the Scuba Trust. Two specialists shared their passion for their underwater careers; John Boyle and Dr John Copley. John Boyle; self-taught underwater film maker and owner of Shark Bay Films shared stories of his underwater film adventures. He encouraged us to take his lead and do what we love, and love what we do. Can’t argue with that – although he admitted doing what you love doesn’t always bring in the money and circumcision filming pays more. But that’s a different story. 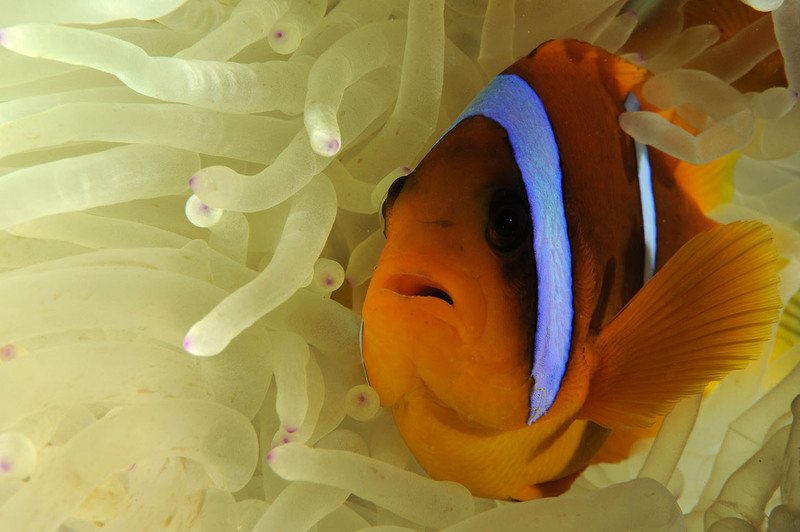 As well as inspiring film footage John told us about the concept for his film ‘Saving Nemo’. 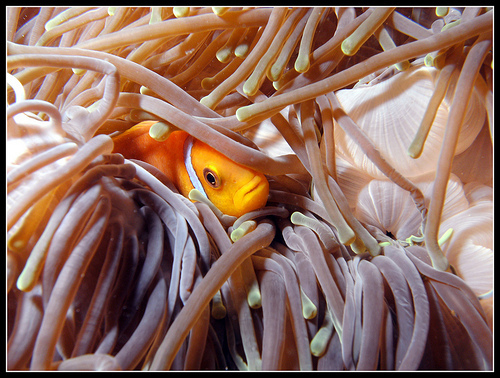 A fishcumentary (invented word) to raise awareness about the increased demand for Nemos (or clown fish or anemone fish as they are also known). The market for these fish has increased massively after the Disney blockbuster Finding Nemo captured the hearts and minds of children across the globe and inspired them to find a Nemo of their own. 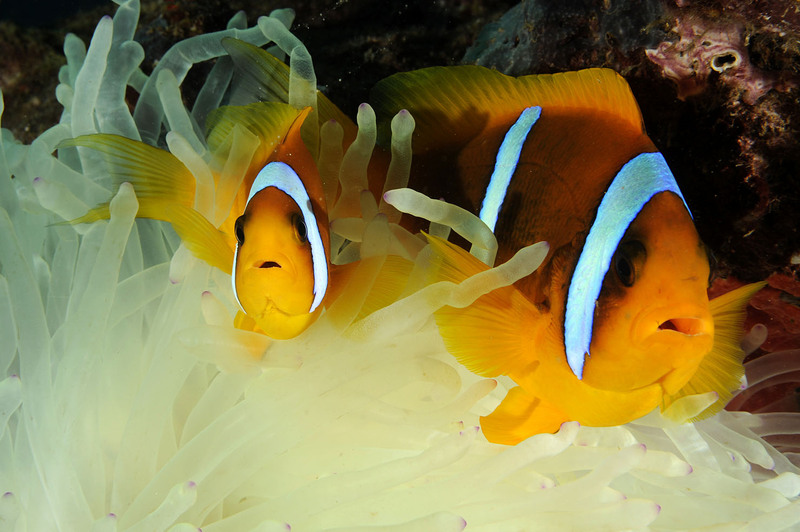 In Thailand the illegal Nemo trade is flourishing, putting the lives of these colourful fishy guys, and in turn the reefs they live on in peril. I’ve commented before on concerns about the destruction of our underwater ecosystems and the yet unrealised consequences that this may have on the health of our planet. Nemo farming adds to the picture of underwater destruction. Disney objected to Shark Bay Films using the name ‘Nemo’ in the title of their Saving Nemo film. 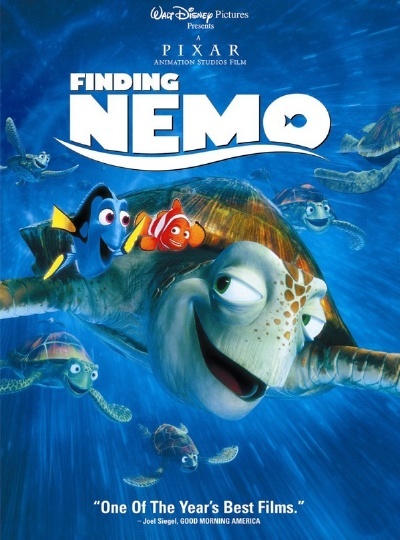 Disney forced Shark Bay Films to rename and edit Saving Nemo to remove all references to Nemo. For a small operation like Shark Bay Films this was a considerable outlay. Some may argue that Shark Bay Films were naive, perhaps foolish to call their film Saving Nemo. However, in my opinion Disney does have some responsibility in helping to protect the ecosystems that the success of their film has put at risk. The popularity of Finding Nemo has resulted in children across the world wanting their own Nemos. This demand has been met by illegal fishing and farming which is threatening the existence of this brightly coloured stripey species and the reefs they live on. We are yet to realise the bigger impact this will have on our oceans and the planet. So I think Disney should have been more gracious towards Saving Nemo, it was an opportunity for them to give something back to help a situation that they had an undeniable part in creating. Dr Jon Copley’s story to follow ….. This entry was posted in Inspiration, Life and Death, scuba diving, travel and tagged anenome fish, children, circumscision, clown fish, coral, disney, diving, ecosystems, environment, farm, film, finding nemo, fishing, illegal, inspiring, john boyle, john copley, london diving chamber, love, national geographic, oceans, peril, planet, reef, scuba trust, shark bay films, story, thailand, underwater. Bookmark the permalink. Interesting piece. Disney has a lot to answer for, most notably in anthropomorphising animals. This has huge impacts in terms of driving tourism around ‘charismatic megafauna’ like gorillas, sharks & giraffe etc. What is your opinion on those who travel halfway round the world to ‘make friends’ with their favourite animals on expensive dives, treks and safari? Because, ultimately, the ecosystemic impacts of this specialized form of consumerism are pretty horrendous. Interesting question; the wonder of experiencing animals in their natural environments is amazing, educational and a privilege – but this should never be at the expense of the welfare of the animals or their environments. Responsible tourism is a compromise and it should be about respecting natural habitats. We should be able to visit and leave no trace – but I also question whether this is even possible?